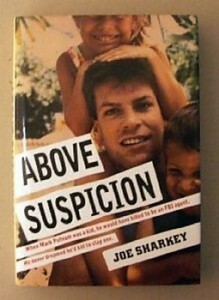 “Above Suspicion” also is a book. Filmmakers are shooting a movie about an FBI agent who pleaded guilty in Kentucky to strangling an informant in 1989. The film, “Above Suspicion,” is about Mark Putnam, who was convicted of first-degree manslaughter in the death of Susan Daniels Smith, a lover at the time, the Associated Press reports. At least two books were written about the killing. The filming will take place in areas around Lexington and Harlan. Posted: 5/23/16 at 8:54 AM under News Story.